What a 2.5 week pizza, pasta and gelato feast in Italy reinforced to me about product design! I recently returned from a 2.5 week trip around Italy where I basically ate pizza, pasta and gelato for every meal. 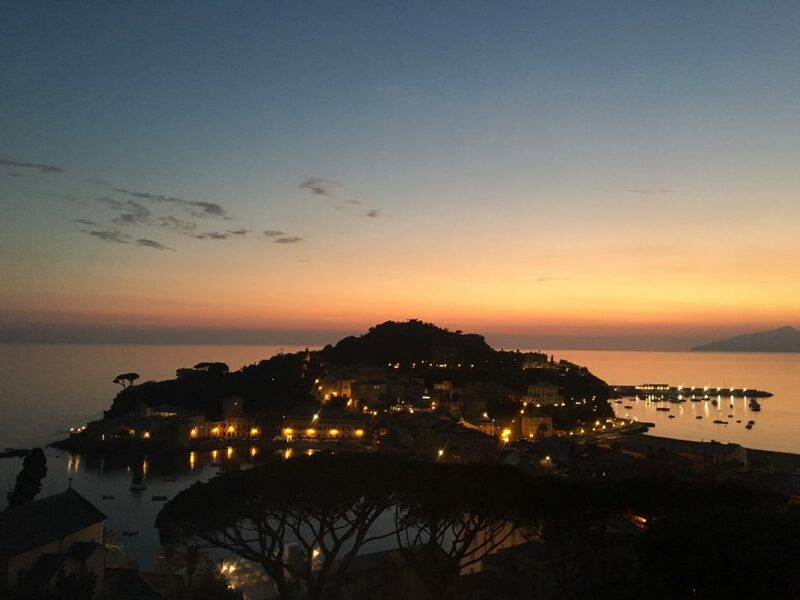 It was a family holiday, but for tax purposes it was actually to attend the CREA creativity conference in Sestri Levante for 4 days. Sestri is picturesque coastal town between the Cinque Terre and Portofino, so easily the best place I’ve immersed myself for the purpose of going “back to school”. For 2.5 days of the conference I went deep into the Design Thinking world to freshen up on the best of d.school, Ideo and Frog design’s processes. A lot of what we were exposed to is what we practice day-to-day at Agents of Spring, but what I loved was the richness of the learning experience due to the multinational group of practitioners and leaders. If I could sum up the biggest thing I was reminded of into three words it would be – PROTOTYPE, PROTOTYPE, PROTOTYPE. I know from experience the faster you get to a prototype stage in projects the quicker and deeper the learnings. The mindset of prototyping to learn which I now practice is something I wish I had learnt much earlier in my marketing career. The other concept I love is the idea of matching the fidelity of your prototypes to the fidelity of your ideas. 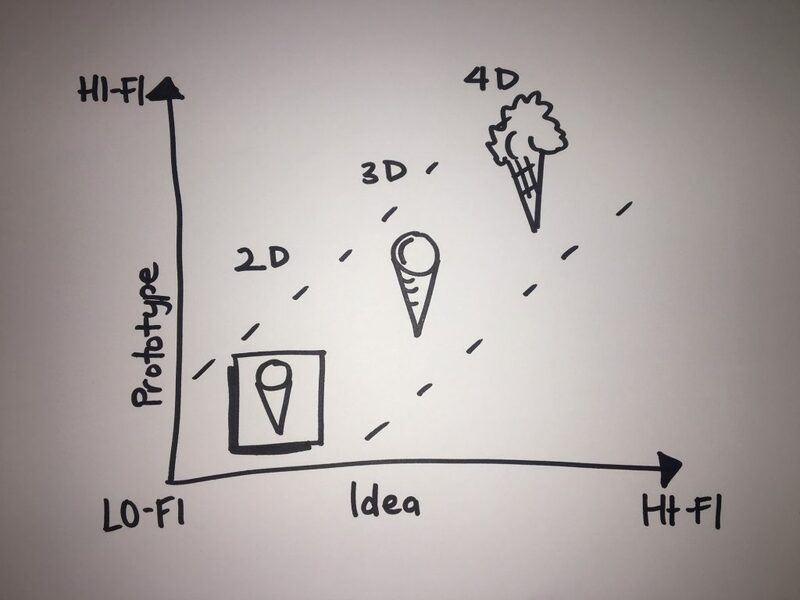 If the idea is rough draw it on the back of a napkin, but if your idea is well developed make your prototype as slick and operational as possible. With these fresh learnings swirling through my brain I was walking around these amazing Italian towns past iconic buildings and monuments in search of the best Pizzerias and Gelaterias thinking about how I could take our prototyping to the next level. What struck me eating another amazing pizza on another cobblestoned lane way next to another historical building was how good Italian food is. What I love is the restraint and focus the Italians have. They go easy on the features to deliver bigger benefits – namely amazing flavour. Pizzas are all about the base with a couple of simple, fresh ingredients. Pasta is all about the pasta with a simple sauce to enhance it. Gelato is about a mountain of gelato on a cone with a single minded flavour. I looked far and wide but there was definitely no sign of a pizza with the lot on a cheesy crusted, deep dish base in Italy. What I’m constantly amazed by is how many features get rammed into new products by marketers and product designers these days in an attempt to out do the competition when in fact, the art is working out which features are distracting and superfluous. 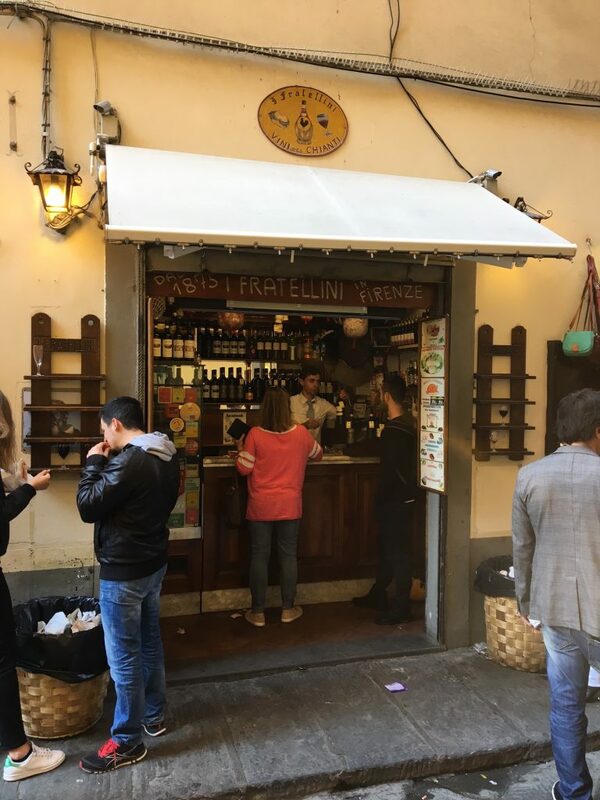 A friend suggested we check out a bar in Florence that had amazing local wine. We tracked it down and it was exactly that, a bar in a hole in the wall with a range of locally produced wine. Standing room was on the street. Ever been at a bar and struggled to find somewhere to store your glass or got it mixed up with someone else, well no worries, how about the handy little numbered wine shelves either side of the bar. On the flight back to Australia I was inspired to open a Pizzeria, Gelateria or Pastaria in Melbourne. I just love the single minded focus the Italians have with their food. Having run this morning in 9 degree weather with sideways rain I’m not sure about the consistency of demand for Gelato. 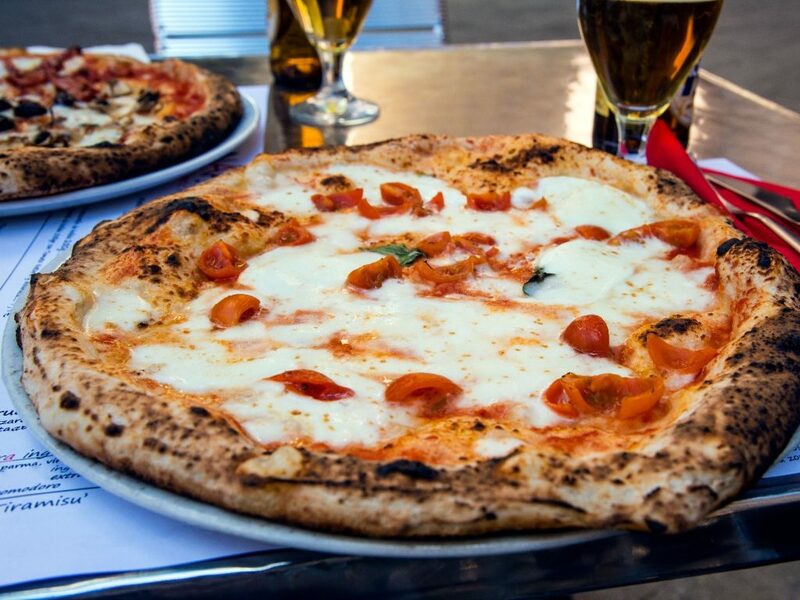 A life of pizza experience and a quick google suggests that Melbourne has plenty of great pizza options. So maybe it’s a pasta fatta in casa restaurant? For now I’m going to show restraint and focus and get stuck into building the next round of prototypes on a couple of product design challenges we’re currently working on and test out what can be striped out to make them timeless as a fresh Italian margherita pizza. What are you developing at the moment that you could strip away a few superfluous features?